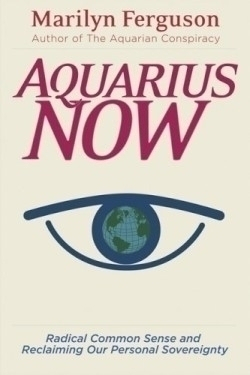 From the frontiers of consciousness research, Aquarius Now offers a stunning example of reframing societies’ and individuals’ challenges while shining a light onto new possibilities in a dark time. The author, a pioneer in synthesizing research on the new consciousness, authored The Aquarian Conspiracy (now twenty-five years old, selling 2.5 million copies, and never out of print), and published Brain/Mind Bulletin from 1975 through 1995. Maintaining a “habit of perpetual renewal” is key to this journey to the future, which is also rooted in historical context, drawing its subtitle from Thomas Paine’s Common Sense. As readers migrate toward this “new understanding,” they gather traveling companions. The bulk of the book details nine metaphorical inner selves and their gifts. The chapter “Choosing to Be Intelligent” focuses on the gifts of hunter-gatherer and scout. These inner allies highlight the capacities of intelligence and values, ability to notice, and connection between attention and intelligence. Quotes from diverse visionaries—from Feldenkrais to St. Francis of Assisi—offer commentary and support. Another chapter focuses on intuition, gift of the firemaker, defined as “a kind of shorthand of the mind.” Readers learn that there’s strength in numbers as the book explores the diverse metaphorical capabilities represented by the athlete, dowser, artist, scientist, sacred warrior, holy fool, free spirit, navigator. The book is a practical illustration of Ferguson’s admonition to draw together in community, first as the community of selves within, then linking up with fellow travelers, whether those quoted, listed as resources, or companions in the usual sense. This social connection, “a network of dialogue … the common sense of community,” is an idea from the work of physicist David Bohm. Ferguson positions Aquarius Now as “a set of operating procedures,” a challenge for those comfortable with formulaic how-to manuals. The book does not present a linear map, perhaps because it’s not a linear journey. Some readers may find the idea of working with multiple “inner selves” a startling concept. Those willing to pioneer social transformation—both inner and outer—will find practical inspiration and encouragement to act with radical common sense for the highest good of all. This is essential reading for all twenty-first century travelers willing to shoulder the responsibility to shape a future that works for all.